Fox’s once-mighty drama hit House will hobble off the network’s lineup at the end of the season, the show’s producers announced this afternoon. The decision is hardly shocking news: Fox execs and even the show’s producers have been saying for some time that this, the show’s eighth season, would likely be the last. Still, there had been speculation that Fox might try to work out a deal with the show’s producer, NBC-owned Universal Television, for a shortened ninth season. Instead, producers say they asked Fox to wrap up now: “Much better to disappear before the music stops, while there is still some promise and mystique in the air,” exec producers David Shore, Katie Jacobs, and Hugh Laurie said in a joint statement this afternoon. 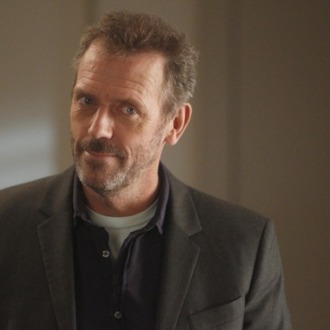 Still, in terms of ratings, House may have lingered a tad too long, with recent episodes of the show failing to crack a 3 rating in overnight Nielsen numbers among viewers under 50. And Fox seems to have plenty of contenders to replace it, from the promising Alcatraz and Touch to, possibly, the first-year dino drama Terra Nova. In retrospect, industry insiders say Universal TV may have made a huge mistake when they spurned offers of a two-year renewal by Fox in early 2011. The network had been willing to do an extended renewal, if the studio would reduce the fee it charged Fox for House. But insiders say Universal refused to take less money, betting Fox would still be willing to pony up a premium price for an eighth season. That didn’t happen. While Fox may end with slightly weaker 8 p.m. hour next season in terms of gross ratings, it’ll almost certainly end up making more money in the slot owing to lower production costs. Universal, however, will lose out in tens of millions in syndication revenue because of the early departure of House. Still to be determined: Whether Fox will now give a green-light to a thirteen-episode second season of Terra Nova.